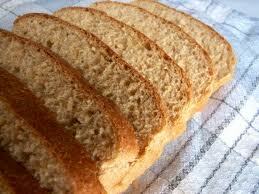 Probiotic Breads has been innovative attempt to provide consumers healthy bakery products. An Old World bread-baking company and a modern-age biotech company -- both headquartered in Northeast Ohio -- have joined forces to create what they say is the first probiotic bread in North America, and probably the first such bread line in the world. Orlando Baking Company and Ganeden Biotech are selling their new product this month only at Heinen's stores. Until recently, probiotics in foods were generally found only in yogurt and other dairy products. The microorganisms, which contain beneficial bacteria or yeasts that help people digest dairy products and manage intestinal diseases, as well as enhance the functioning of the immune system, occur naturally in yogurt. But the live cultures couldn't survive extreme temperatures, so baking or freezing foods containing probiotics were out.